A business owner has limited options if his or her books are not up-to-date. If you approach a bank for a loan, they will ask for a detailed financial view of your books. If that is not available, the answer will be no. A cash advance might be your only option. Not sure anyone would want to invest in a company that can’t clearly articulate their current financial position and is therefor blind to how much profit they’ve earned? Probably not. Without evidence of your financial history, securing loans, bringing on investors or partners, or selling your business will be an uphill task. Not having accurate records, can be difficult (or nearly impossible) to track cash flow projections and statements. Business owners that are unable to accurately measuring cash flow, will miss issues like overdue invoices, held inventory, or recurring variable expenses. A clear understanding of fixed and variable costs allows you to find out your break-even point. Your cash flow shows when money is coming in and what bills need to be paid. If your business is failing to track cash flow and you’re struggling financially, having a paper trail can reveal the problem. But, without bookkeeping there is no trail, just a stack of papers on a desk somewhere. To avoid hurting your business, stay on top of your books and hire someone to take on this task so you can focus on running your business. 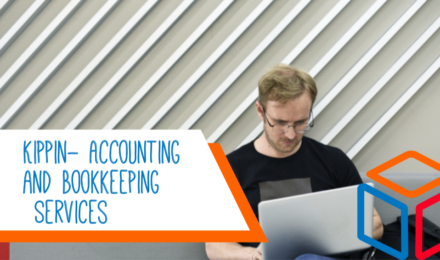 Check out KIPPIN’s accounting as a service. If you are not ready to outsource, you can implement your own bookkeeping process and keep costs low with our DIY program. Why should i keep track of my receipts? 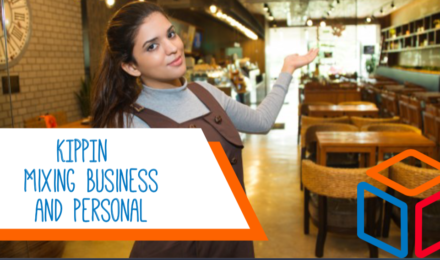 Business owners must have backup documents for all transactions/expenses and preserve (store) these documents for a minimum of 7 years for tax audit purposes. To avoid keeping boxes of receipts and documents, our cloud platform allows businesses digitize receipts and documents. This is done by taking an image from our mobile app or simply uploading it via a browser. This removes the need to have a physical copy of the same documents. The added benefit of using the KIPPIN platform is the auto integration of these receipts to their respective transaction line items. Business owners can now (or later) view what category their expenses were classified under and can also print copies of their receipts if hard-copies are required. How often do I have to see my book keeper/accountant? With the KIPPIN cloud based solution, your accountant is always a chat or email away. Just leave a message in our chat box, email or even phone box and one of our trusted experts will get back to you. One of the advantages of KIPPIN is that we provide monthly financial reports to keep your business informed of how well it is progressing. 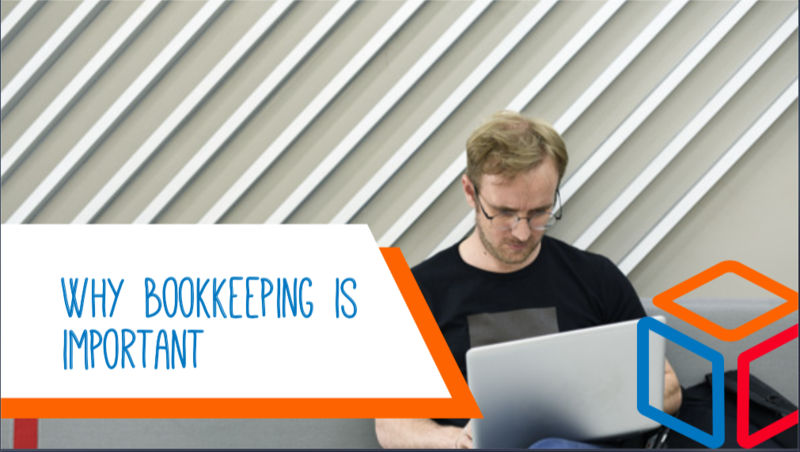 KIPPIN’s cloud accountants and bookkeepers provide businesses with the opportunity of having multiple experts review their books. As a result, businesses get the best analysis of their business to help them with decision making. This is one of the duties of a bookkeeper, to help classify all business expenses under the correct expense account. The KIPPIN solution automates this process. Business owners have the ability to reconcile re-occurring items by checking a box which alerts the system to auto classify all future related items, thus reducing the amount of work you or your bookkeeper would be required to perform. How do I not forget to remind my accountant of expenses I have incurred? The standard way of keeping up to date is to always keep a record/register of all your expenses, however if on the KIPPIN platform, simply link your bank account to our systems and all transactions will be electronically retrieved on a daily basis, auto creating your general ledger. How do I remember or keep track of uncollected debts to my business? To achieve this, you would need to maintain a record of all you customer sales invoices and payments. Business owners previously had to maintain spreadsheets that were time consuming and painful to manage, as this required business owners to manually update payments as they occurred. With KIPPIN’s very simple and automated invoicing process, the entire invoice workflow is enabled as soon as the invoice is generated. Business owners can now create invoices on their mobile phones (on the go) or via our portal, make payments and receive notifications of invoices and generate outstanding debtor e-reports as required. Businesses can now monitor all debtors and view any unpaid, paid, or pending amounts. I am too lazy to remember to send re-occurring invoice to my customers, how can I solve this problem. With the volume of work that business owners have to do, keeping abreast of which invoices have been sent out for payment is a very daunting task. KIPPIN has designed a process that enables re-occurring invoices to be sent to customers based business predefined schedules.